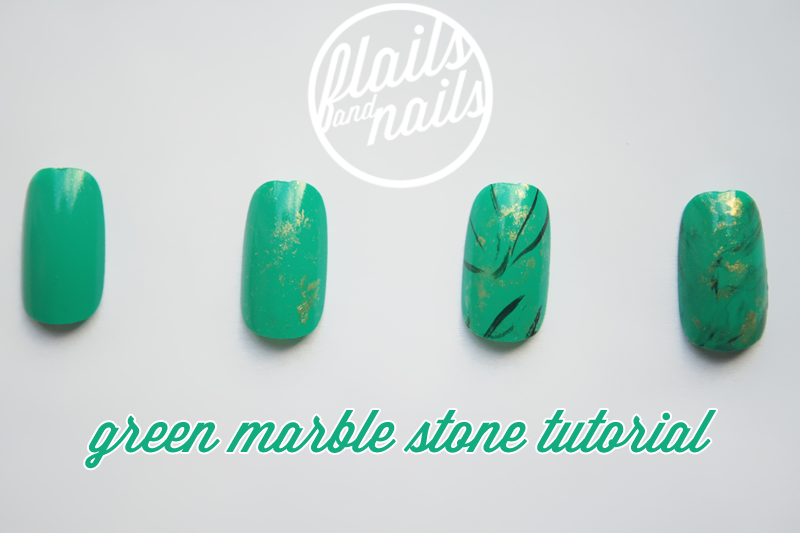 So I thought I'd cobble together a quick tutorial about how to achieve the green marble look I featured on here a few posts ago. The look is based on the work of ThisIsVenice so she may use a different technique for her own work but this is how I achieved the look so I hope this is helpful to you! After filing and painting base coat on your nails, apply your nail colour to you nail. I used Models Own Emerald Green from the Diamond Luxe collection. Wait for this to dry. 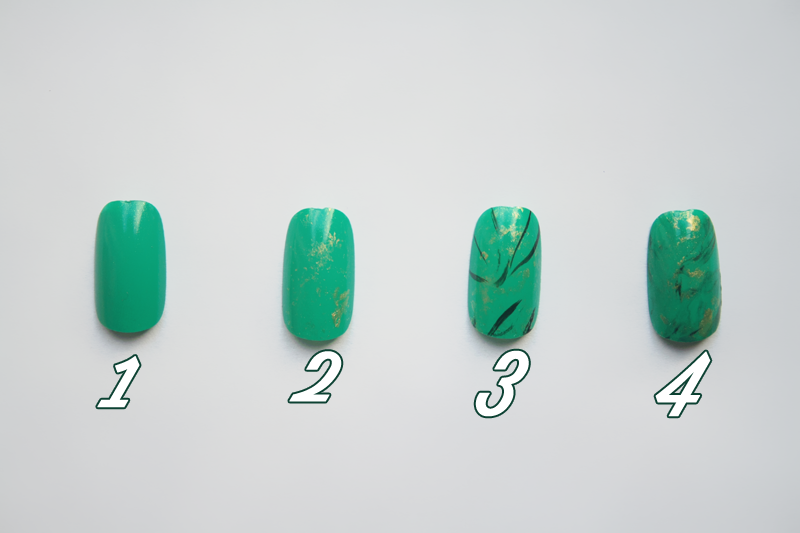 Once your base nail colour has dried, scrunch up some cling film and paint on some gold nail polish. I used Models Own 25 Carat Gold. Dab off the excess onto some paper or tin foil then dab the cling film onto the nail, lightly covering areas of the nail surface in gold. Allow to dry. Using a nail art brush or striper, paint black lines over the nail. This can be in whatever pattern you like but keep in mind the veining seen in marble so something like I've done usually does the trick. I used the Models Own Nail Art Pen in Black for this bit. Whilst the black lines are still a bit wet, load another nail art brush or striper in acetone and apply acetone over the black lines and allow it to dilute the lines. You may need to drag the acetone but you can just leave it to work it's magic. Once dry, the nail will matte in appearance, you can either keep this or apply top coat, like I have. So that's it! It's a relatively straightforward look that takes very little effort. You don't need fancy tools or expensive products, just some nice polishes that would go together, cling film (or saran wrap for our American cousins) and one or two nail art brushes (which are easy to come by these days).